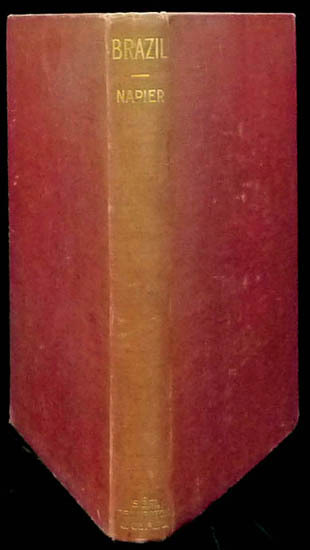 Napier, G.S.F., The Stamps of the First Issue of Brazil, 1923, hardbound in red buckram, gilt top, marbled endpapers, 121pgs + 40 plates in pouch, no. 104 of 200, normal use, Detailed study of these classic issues. Very Seldom offered. 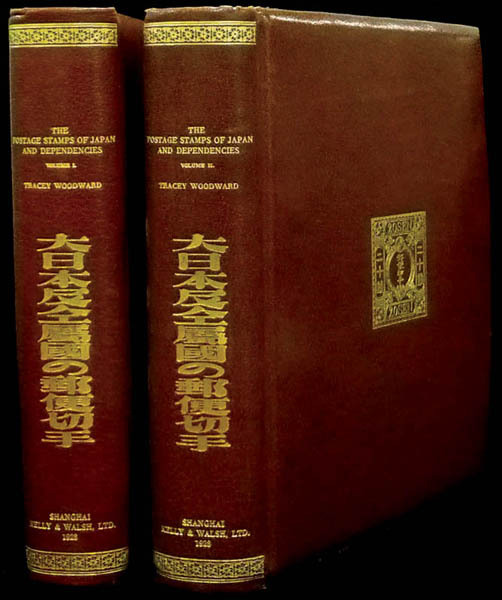 Woodward, A.M. Tracey, The Postage Stamps of Japan and Dependencies, Volumes I-II, 1928, two HB full calf leather padded with gold stamping, custom slipcase with outer gold stamping, printed on hand-made vellum paper with deckled edges, 523+243pp, full plates, No. 63 of 100, autographed; slipcase worn, A magnificent set in original condition. 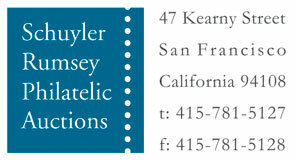 A CLASSIC PHILATELIC LITERATURE TREASURE AND LINCHPIN OF A GREAT LIBRARY. We sold a similar condition set of this book for $13,800 in Sale 36 of the Carl Walske library. 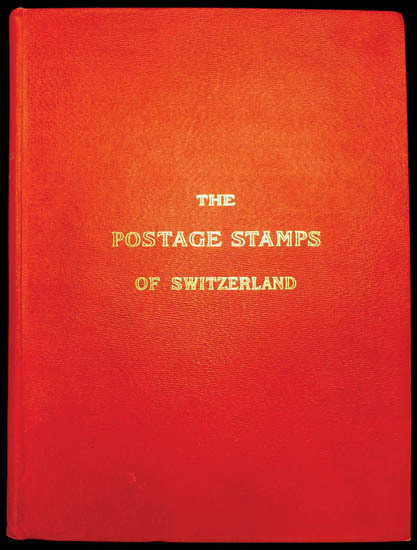 Mirabaud, P. and De Reuterskiold, A., The Postage Stamps of Switzerland 1843-1862, 1899, Paris, edition #138 of 150 in English, HB in publishers heavy cloth with original red cardboard slipcase, handmade vellum paper, 266pp plus errata, 14 color plates plus 607 illustrations of markings; some typical page foxing, slipcase wear tape reinforced, Very Fine. One of the most sumptuous literary works on philately ever published. This is the English version, there being both French and German publications of the work.